Cora Bender killed a man on a sunny summer afternoon by the lake and in full view of her family and friends. Why? What could have caused this quiet, lovable young mother to stab a stranger in the throat, again and again, until she was pulled off his body? For the local police it was an open-and-shut case. Cora confessed; there was no shortage of witnesses. But Police Commissioner Rudolf Grovian refused to close the file and started his own maverick investigation. So begins the slow unravelling of Cora’s past, a harrowing descent into a woman’s private hell. As you can tell from the blurb above, THE SINNER is a whydunnit, as opposed to a whodunnit book, although that’s way too simplistic a description. When Cora Bender stabs a man to death in front of family, friends, and a crowded park, nobody realises that she was originally planning to commit suicide. Bender is obviously not in a good place in her life, despite outward appearances. Rejected wholeheartedly by her husband immediately after the attack, it seems an open-and-shut case, which may only be mitigated by a plea of insanity. Except that Rudolf Grovian senses something behind Frau Bender’s acknowledgement of her guilt and maniacal desire to declare herself guilty with no reasons or explanations. It’s partially Grovian’s investigation into Bender’s childhood and family life, and partially his patient and careful questioning of her that slowly draws out the truth. Bender’s childhood is the stuff of nightmares – a desperately ill younger sister and a fanatical religious zealot of a mother who never hesitated to blame her first-born daughter for all of the younger sister’s medical problems. Add a caring but sexually frustrated and ineffectual father, who whilst never sexually abusing his daughter, confronted her with her parent’s sexual problems, and everything has combined to create a girl who is guilty, conflicted, and profoundly disturbed. Her closeness with her father creates a complex relationship with him, whilst he is kind and caring towards his daughter, his failure to take firm action in the face of her mother Elsbeth’s more extreme behaviour makes him a weak figure, difficult to maintain respect, love and affection for. Bender’s ill sister, Magdalena, should have died many times in her childhood, somehow managing to cling to life, she is the centre of her mother’s world, swamping everything and everyone with her requirements, draining the families financial as well as emotional resources, isolating them. Eventually the two sisters seem to work out an understanding, a relationship, even love for each other, although, as with everything in this family, there’s something not quite right. Because of the way that Grovian goes about drawing out the story of Bender’s background and therefore her reasons for violently killing a complete stranger, there’s a lot of ground gone back over. As she constantly lies about her past, Grovian is forced to look for the sprinklings of truth within the lies and slowly and steadily disprove the lies, forcing Bender back and back over the same ground, coaxing the truth from the ultimate in unreliable narrators. Because of that narrative device, the pace is slow, emotional, repetitive and intricate. The reader is given every opportunity to share Grovian’s frustration, but at the same time you also get a feeling for Bender’s distress, her desperation. Whatever it is that she doesn’t want known is held close, she’s desperate to obfuscate, confuse, deny, avoid. Particularly interesting was the way that Bender’s family members, in particular, are characterised. Seen, as they are, mostly from Bender’s point of view, there’s something misty about them, hesitantly revealing her father’s ineffectiveness, her mother’s madness, and her sister’s memory. It’s particularly interesting that Magdalena is both transparent, weak, seemingly just about incapable of even basic communication; yet she’s ultimately revealed as a much stronger personality, capable of manipulation, more able than originally contemplated. Remembering that we were viewing Bender’s family from her perspective, and the role that Magdalena’s entire existence had such a profound affect on Bender – made it a particularly thought-provoking aspect. THE SINNER isn’t a straight-forward book. 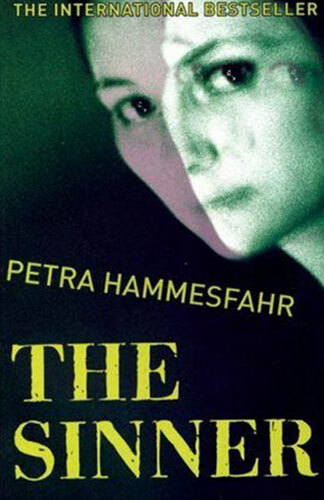 Part thriller, a most unusual psychological study, it wasn’t an easy book to read but it was an extremely thought-provoking, worthwhile book to read.